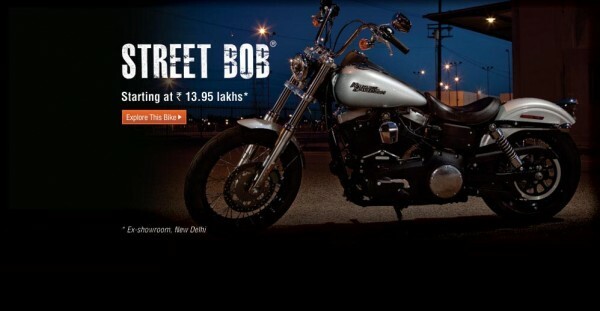 How about Rs 4 lakh off a Harley? That’s exactly what Harley-Davidson has done with the Street Bob and the Super Glide Custom. These two models are now priced at Rs 9.95 lakh and Rs 11.5 lakh respectively, around Rs 4 lakh less than before. Harley-Davidson announced the enhancement of their complete knock down (CKD) product line up. First up is the Harley-Davidson FXDB Street Bob a classic bobber, which will now be available at Rs. 9.95 lakh, ex-showroom against the earlier price of Rs 13.94 lakh. The second addition is the Harley-Davidson FXDC Super Glide Custom a sibling of the Street Bob with custom styling and this will retail at Rs 11.5 lakh, ex-showroom against Rs 15.45 lakh last year. This addition brings Harley-Davidson's CKD portfolio count in India up to five motorcycles. Speaking at the launch Anoop Prakash, managing director, Harley-Davidson India. "Harley-Davidson is pioneering the development of a strong leisure riding culture in India like never before. Over the last two years, we have strategically invested in the market to provide enthusiasts an opportunity to realise their dreams to join the Harley-Davidson family and become Harley owners. As we expand our CKD product portfolio in India, we will continue to adopt and invest in strategies that make our products and ownership experience accessible to more enthusiasts and customers in India." And there is good news for those who have the cash. You can now walk into the nearest showroom (if you are in one of the seven cities with a Harley-Davidson dealership) and book your Harley at the new price right away. To be assembled at the American company’s facility in Bawal, Haryana, from kits supplied from the USA, these two motorcycles are also an indication of H-D’s increasing focus on India as an assembling, and perhaps manufacturing, hub in the future. fantastic submit, very informative. I'm wondering why the opposite specialists of this sector do not realize this. You must proceed your writing. I'm confident, you've a huge readers' base already!